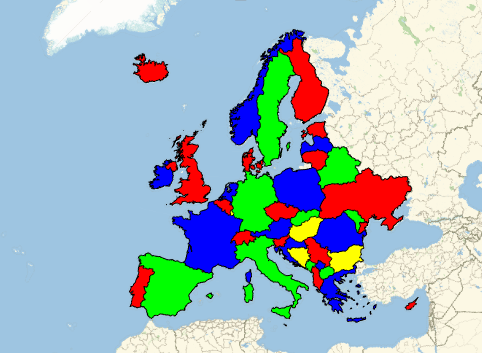 Find the neighbors of each European country. These are the neighbors of Austria. Encode the four possible colors as two Booleans per country. Express the condition that all pairs of bordering countries have different colors as a logical expression. Compute a solution to the four-color problem. Color each country according to the coloring found.